What a glorious and bureaucratic opportunity! a) Pay us a processing fee of $28. 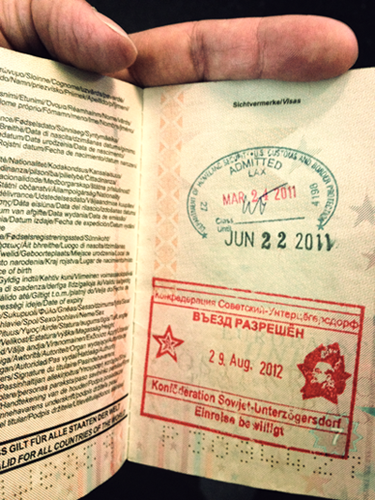 b) Send us an official travel document. 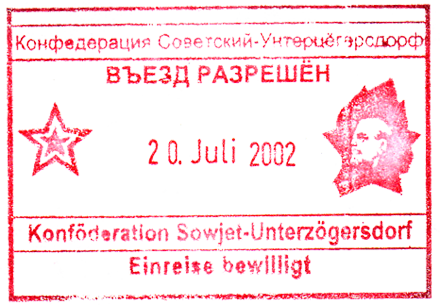 c) Receive the document stamped with Soviet Unterzoegersdorf’s official seal of immigration! Disclaimer: In case you want to send us a passort. This is a felony. Whatever.